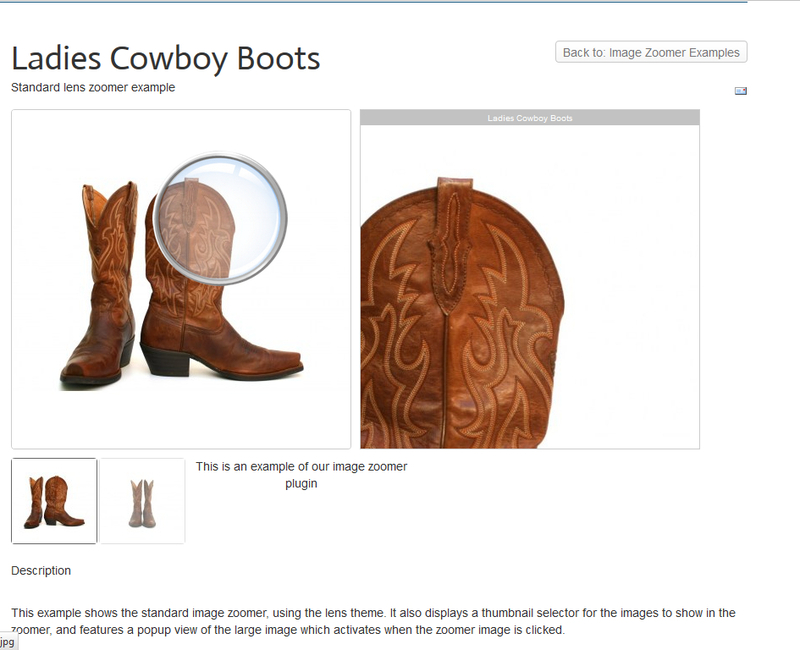 This plugin allows you to add a nice image zoomer to your Virtuemart product page. 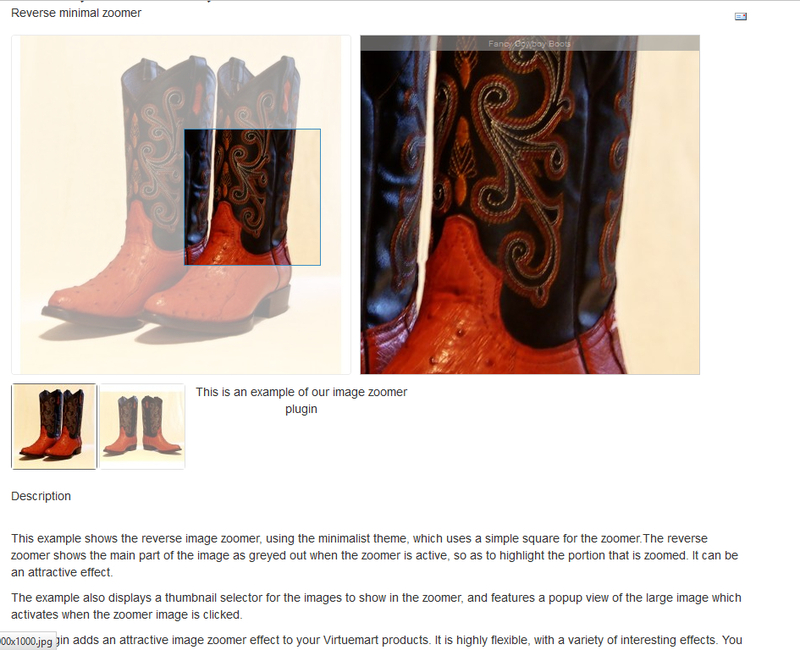 This plugin allows you to add a nice image zoomer to your Virtuemart product page. It displays a medium sized image, when the customer hovers over the image a magnified version of the image is displayed in a floating window, allowing the customer to inspect product details. It is possible to include multiple images in the zoomer, which are selectable by clicking a thumbnail image. For example this allows you to show your product from a variety of positions, then allow the customer to select the position to view. Optionally it can also display the large image in a popup when the zoomer is clicked. The plugin can handle Virtuemart product variants that have their own image: when the variant image is loaded the zoomer will automatically re-load. There are a variety of zoomer display types available, including standard and reverse, drag, inner zoom, and always on. See the examples for further information. The display is quite customizable, the sizes of the medium and thumbnail images are optional, as is the size and the position of the zoom window. It is possible to have the zoomer always on, or only visible when the image is hovered over.